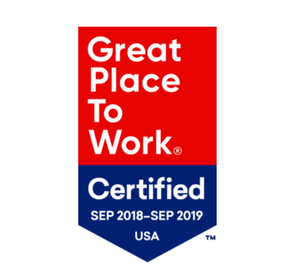 Asurion, the global leader in technology solutions services, today announced it was certified as a great workplace for a second year by the independent analysts at Great Place to Work®. Asurion earned the nationwide workplace credential based on extensive ratings provided by its employees in anonymous surveys, in which 88 percent of those surveyed noted Asurion as a great place to work1. In addition, employees gave high marks for the high level of workplace engagement and camaraderie that Asurion helps foster among colleagues, and the company’s ability to continuously improve, adapt quickly and generate game-changing opportunities. A summary of these ratings can be found at http://reviews.greatplacetowork.com/asurion. Popup classes across Asurion offices that teach practical leadership skills regardless of role or career level. 1Asurion employees completed 1883 surveys, resulting in a 90 percent confidence level and a margin of error of ± 1.75.